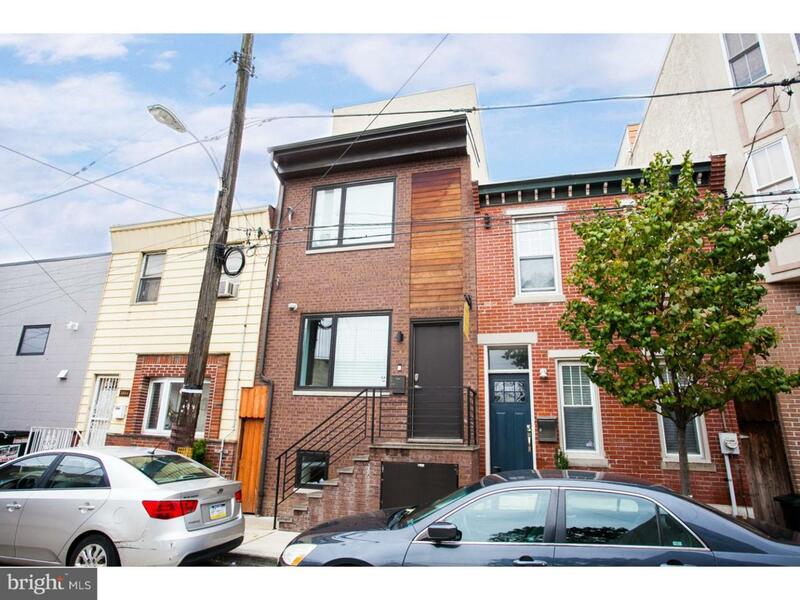 This terrific new construction townhouse has 3 stories and a finished basement. There are 3 bedrooms and 2.5 bathrooms. The contemporary open, design features a floating staircase and high-end finishes throughout. Located in the desirable Graduate Hospital Area - conveniently located near everything the city has to offer: entertainment, shopping, dining, transportation, parks and more! The beautiful spacious master suite is the entire third-floor featuring a walk-in closet. The Porcelanosa European Kitchen has quartz countertops and Frigidaire Gallery Series Stainless Steel Appliances with gas cooking. Also Porcelanosa European bathroom cabinetry, tile, and fixtures. Dual zone HVAC systems with gas heat. 9-10 foot ceilings throughout and oversized 80" solid doors. Elan Music System throughout including the rear patio. Smart home technology: Lutron lighting control, climate control, alarm system with front & rear cameras and a Yale smart lock. Cable, and Internet wiring throughout. Solid 3/4" white oak floors throughout. Private large concrete patio in rear with cedar fence. Storage below the steps for trash cans and more. Energy efficient recessed LED lighting throughout. Oversized Anderson Series 400 solid wood windows and sliding door with maintenance free aluminum clad exteriors. and sliding door that allows an abundance of natural light throughout. Approved for reduced taxes with a 10-year Tax Abatement for the Buyer (expected to be approx $2000). Convenient laundry closet on the 2nd floor. Sprinkler system. Upgraded insulation. Lots of storage in huge closets. Seller Assist is a possibility and definitely negotiable. Come check it out, it's a must see!